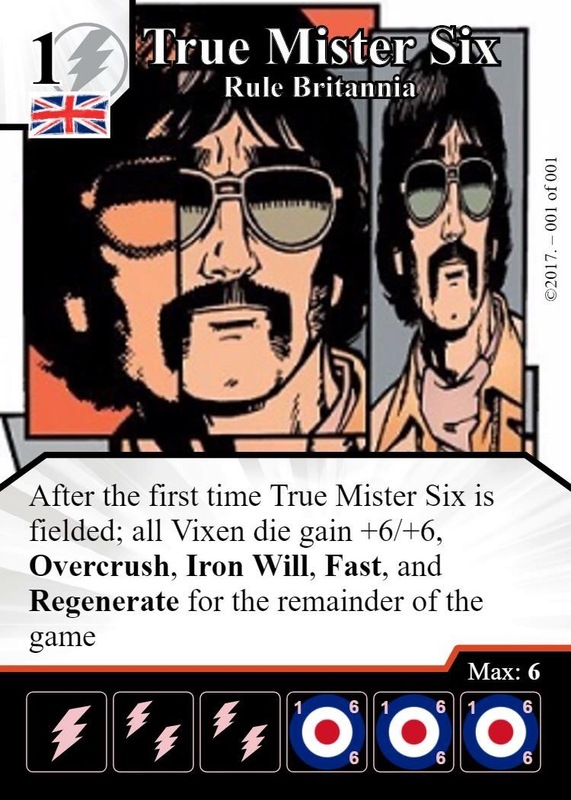 Welcome to “Brit Roller Six” – the Dice Masters blog run by me; True Mister Six. I’m also one half of The Ministry of Dice – a podcasting dream team made up of me & Andy England. I’m a UK based player who started playing when the “Avengers Vs X-Men” set was released. I kicked off playing on the dining room table with a friend, but as time went on I found that as every day passed by the game started dominating more & more of my limited brain’s think-y space. I couldn’t shake the obsession and my new addiction started to hit over drive around October 2015 – I got more involved in a couple of scenes at some Friendly Local Gaming Stores, increased my activity on the Dice Masters Sub-Reddit & at The Reserve Pool, and interacted more on the Social media pages. So – the purposes of this blog are many, but mostly it’s just an outlet for any general think-y thoughts about Dice Masters I may have. I’m particularly interested in getting a British voice out there and maybe give the wider Dice Masters community as a whole an insight into what’s going on over here in the growing UK scene. But I’ll be talking about many themes besides – I’ll re-cap events I’ve participated in, provide some thoughts on the community as a whole, contemplate on my increasing experience as a player, and give opinions on spoilers/new releases. I’m not by any stretch of the imagination a top tier player or the best team builder – I thought I should just point that out to manage expectations – my stuff is probably not where you’ll be finding elite play advice you may be looking for – but I am going to write about my process when I sit down to create a list to use or reflect on my piloting when I play. I hope that may be of interest to some. So – click around, have a read, comment & ‘like’ as you see fit, and keep rolling. Hi, I’m Andy AKA Andy. Long time casual tabletop gamer and more recently competitive Dice Master and co-host on the Ministry of Dice podcast with the Brit roller six himself. I hope you find my opinions and thoughts on the game interesting 🙂 I love discussing, and hearing other’s opinions on the game so please comment and share your thoughts with me!